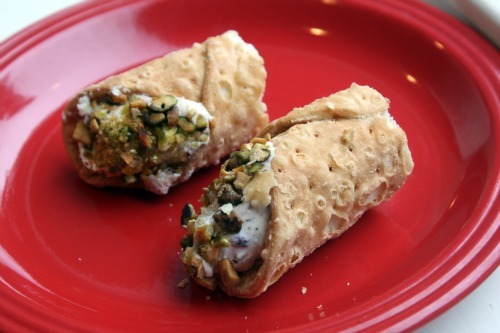 I’ve never had a cannoli before either, but these look really good and I like that they aren’t super sweet. And the ginger? Yes, please! that first photo made me need to sit down. what gorgeous cannoli! and crystalized ginger? love that. your cake is absolutely adorable, and worthy of your fine little man. happy, happy day to him. Cannoli! Ate my first during a trip to Boston with my parents as a teen. There’s a shop in the North End, Mike’s Pastry, which has amazing cannoli. Though I will say that the cannoli from Sciortino’s Bakery in our hometown of Milwaukee are phenomenal as well. Haven’t yet tried making them at home, but my fiancee has been saying wants to buy a piece of tubing from Lowe’s to make a cannoli mold on the cheap. All I know for sure is that the ends *must* be dipped in chopped pistachios, and I love your idea of crystallized ginger! Yay! Cannoli! The cranberry-ginger combo sounds wonderful. And that cake…stunning! Dana, it’s like you’ve been reading my mind these days. I’ve never has a cannoli either, and lately have been thinking to rectify that. 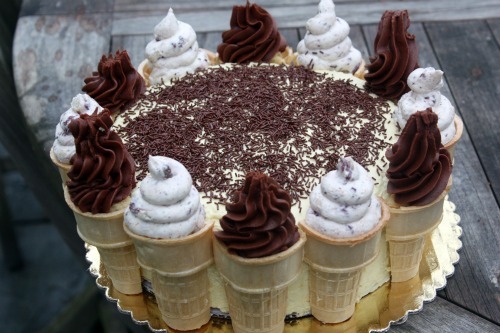 And the ice cream cone birthday cake is so cute! I’ve never attempted cannoli myself but I think I’m going to have to since you mentioned the ginger in the filling. I could fall in love with a cannoli like that. MMM! Cannoli was my birthday treat of choice growing up….but it had to be from the little old Italian Grandma who ran the ice cream/pastry shop on the Boardwalk in Ocean City MD. Her name was Julia, and she made the best cannoli I’ve ever had. I may need to make a batch of these tonight to assuage my nostalgia attack. I have to say, I absolutely LOVE to make (and eat) cannoli. One of my favorites! These look fabulous. I love cannoli and I love with you did here. What a great idea. 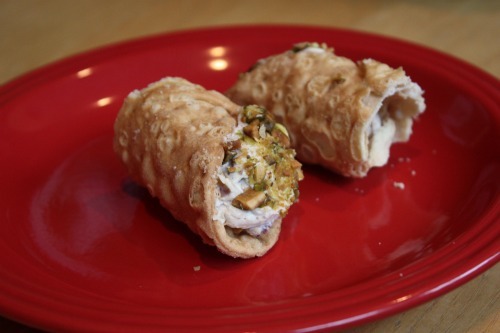 I’d love to try making cannoli one of these days. I don’t think the shells are sold here, at least not that I know of, and making them is what has prevented me from ever attempting this dessert. The filling sounds great without the sugar. And, that is one cute cake! 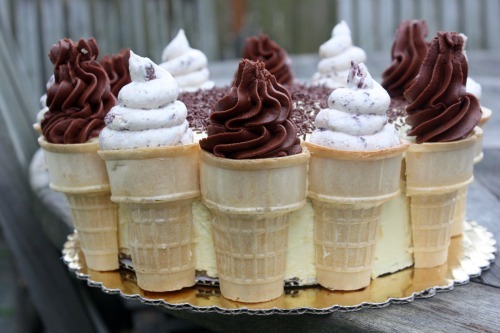 Great thinking to use the filling as frosting.